One of the country’s best loved brioche brands has re-designed the look of its’ range of continental bakery to emphasise the French heritage and high quality of its’ products. 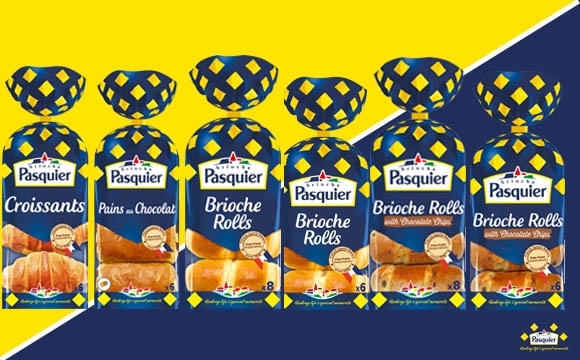 The new packaging from Brioche Pasquier makes the brand more accessible to consumers with clearer labelling and information and a recipe on each pack to give an example of how the contents could be used. One of the company’s flagship products, Pains au Lait, has also changed name, and will now be simply known as Brioche Rolls. The new packaging has been introduced across the range of brioche and viennoiserie products, including Croissants, Brioche Rolls, Brioche Rolls with Chocolate Chips and Pains au Chocolat. Gabriel’s legacy includes the unique starter dough known as ‘levain’ and gives the products their trademark taste and longevity without the need for preservatives. This longevity is a boon for retailers and consumers alike as it means that the products stay fresh on the shelves for up to 21 days, thus reducing waste and prolonging usability. The ‘clean’ nature of the recipes with no preservatives, artificial flavours or hydrogenated fats is also emphasised on the new packaging, so that consumers will know they are buying a wholesome product. The new packaging will be phased into retail stores across the country from the end of April.